This month Governor Abbott signed a bill into law, which would allow judges throughout the entire state of Texas to require first time drunk drivers to install an ignition interlock system (also known as a breathalyzer) into their vehicles. This new law has reignited conversations about DWIs (driving while intoxicated) in the state of Texas and the number of automobile accidents involving a drunk driver. Did you know an estimated 32% of fatal car crashes involve an intoxicated driver or pedestrian? Each year over 1.4 million arrests for DWI are made in the United States. Even with alcohol awareness campaigns and organizations the numbers show no sign of a significant decrease. The Cowen Law Group handles cases where an individual has been hurt in an automobile accident caused by a drunk driver. Unfortunately these cases can involve major injuries or even death, due to a drunk driver’s state of mind and inability to function properly behind the wheel. These types of cases can allow an attorney to fight for the injured party and argue the drunk driver is guilty of gross negligence. What is gross negligence and why would this matter when someone is injured by a drunk driver? Webster’s Dictionary defines gross negligence as “an extremely careless action or an omission that is willful or reckless disregard for the consequences to the safety or property of another.” When a drunk driver is found guilty of gross negligence the injured party can seek punitive damages, which could result in a significantly larger amount of money awarded. The Cowen Law Group has experience showing gross negligence, winning these types of cases and helping our clients receive the financial compensation they deserve. If you have been injured by a drunk driver, please contact The Cowen Law Group. 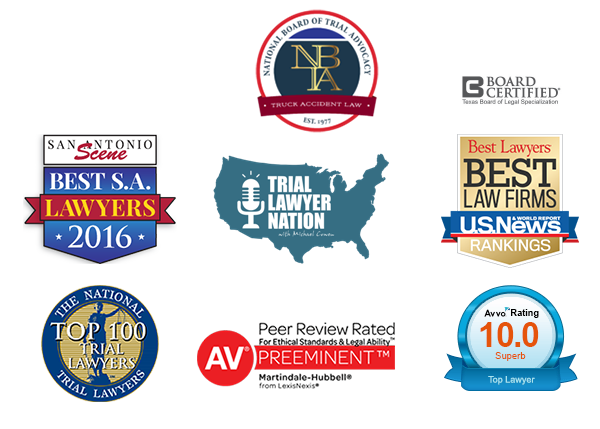 We are experienced south Texas trial lawyers who will fight for you every step of the way. Call us today for your free consultation at (956) 541-4981.